Chairperson: The Chair will conduct any necessary public relations duties and act as liaison between NWHE and NWCC. The Chairperson will be responsible for calling steering committee meetings when needed (usually 3-4 per year) and conduct the meeting; asking for items to be discussed from other SC members. The chairman makes sure all committees are prepared for their particular event, and also conducts both registration/orientation meetings each year. Treasurer: The Treasure will keep a detailed account of all income and expenditures of NWHE and prepare a written report for each regular Steering Committee meeting. Additionally, he/she is responsible for preparing a budget before the first general meeting of NWHE for the upcoming academic year, to submit the proposed budget to the Steering Committee for approval and upon approval, give each steering committee member a copy. The Treasurer will notify committee chairmen of the amount of money available for a particular event and provide instructions on proper procedure for submitting receipts for reimbursement. Any unusual or unbudgeted items must be submitted to the Steering Committee for approval. Registrar: The Registrar will ensure that all required paperwork for new and returning members is completed. He/she will work in tandem with the Treasurer to collect dues and assign jobs to each member and ensure that the members understand their duty. He/she will compile a list of job responsibilities and give each event coordinator a list of the names of their helpers and give a master list to each member of NWHE at the first general meeting. As new members join throughout the year, the Registrar will have their names and information given to the e-loop. They will also be directed to the New Member Coordinator. Further duties include creating and maintaining a membership roster. The Registrar may have one or more assistants, as is deemed necessary, to delegate any of the above responsibilities. Communications/Web Chair: The Communications Chair will moderate and/or own the e-loop. The Communications Chair will oversee all messages that are sent out and have discretion to limit or edit when the need arises. The e-loop will not be used for political or professional advertising and will pertain to home school related opportunities or topics. 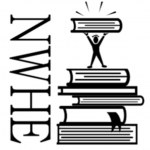 The chair will also update the NWHE website when needed (opening and closing online registration, updating field trip locations, member business information, etc.) Communications Chairperson may have one or more assistants, as deemed necessary, to carry out any of the above responsibilities. Field Trip Coordinator: The Field Trip Coordinator will be the contact point for all field trips and NWHE events. He/she will oversee a committee who will be responsible for each individual field trip or event and report back to the Steering Committee the schedule of field trips and events before the kickoff meeting. He/she will attempt to assess the desires/needs of the NWHE members and use this information in planning the years’ schedule. The FT Coordinator will be responsible for submitting information (including contact person & RSVP information) to the group via the e-loop. New Member Coordinator: Make labels/cards with your contact information to put in the folder we give to the new members at the orientation meetings. Stay in touch with the new members after the August and December orientation meetings to make sure they received an invitation for the yahoo/e-loop from NWHE. This is done by sending the new members an e-mail a couple of weeks after the meeting(s). For those that don’t receive an invite; verify we have their correct contact information. Let the Registrar know of any changes, if needed, she will then resend the invitation to the e-loop. It is very important for the New Member Coordinator to make sure all new members are connected to the e-loop, this is our primary source of communication for the group. The steering committee positions are filled by voting among existing SC members.